It’s hard to find the words to even describe the shock at this absolute atrocity that’s currently occurring in front of our eyes and being broadcast around the world. 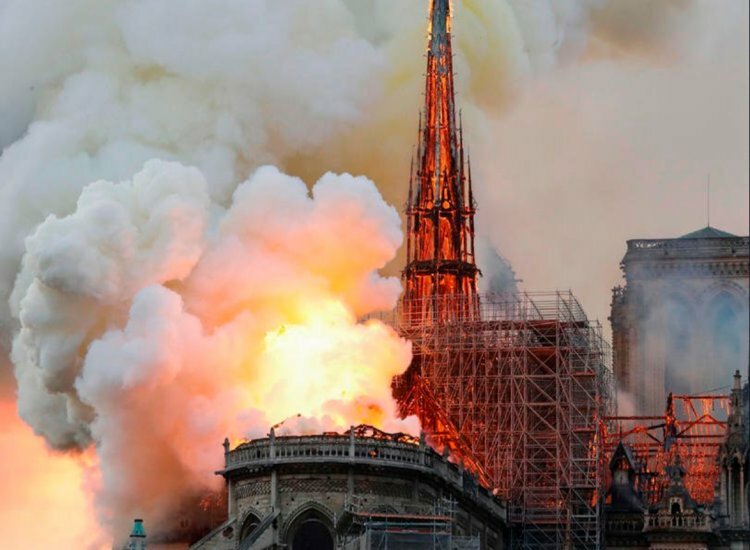 An enormous fire broke out in the famous Notre Dame Cathedral in central Paris. It’s not yet known how the fire started but unfortunately the fire has spread from the roof downwards and it’s utterly sickening to witness. French firefighters appear to be unable to fight the fire as it’s completely out of control with the public ushered from the entire area. The spire at the back of the Cathedral has collapsed inwards and brought the entire roof with it. It’s now looking likely that tragically the entire Cathedral is in severe jeopardy.